Travel is just half of what you get out of a work and travel program. The other half? You guessed it: bonafide professional development. When we think about travel, our minds may wander to the ways in which it can change us on a personal level. We reminisce about our experiences and their impact on our personal growth. We reflect on the ways which we’ve become more “ourselves” while on the road. One aspect of travel you might fail to consider? The ways in which it can help you accelerate your career. Travel helps you grow in more ways than one. Sure, you hone skills that are necessary for making your way through unknown cities where you don’t speak the language, but you’re also building and strengthening capabilities that can help you in your professional pursuit. Join a work and travel program to jumpstart your career and make yourself stand out in a sea of resumes. Throughout your travels it’s likely that you’ll visit cities where local markets operate on a bartering system. You’ll spend a significant amount of time figuring out the right ways to negotiate the price down on everything from your breakfast ingredients, to a handmade piece of jewelry, to your cab ride. As a result of this process, you’ll gain the ability to read a person’s emotions from their facial expressions. This experience with negotiation can serve you well in business. Whether you’re negotiating your salary or working on a new client deal, being able to understand what makes people tick is an important skill to have in every aspect of life. There are a few different ways to travel: some people prefer to stay in hostels or homestays, others go the hotel route and others still have begun to rely on services like Airbnb. That being said, your travel experience is often determined by your ability to budget and allocate your money to necessary purchases. On a work and travel program, you don’t have to think about your transportation or accommodations as those are included in your monthly fee, but you’ll become an expert at figuring out which nights you can eat at a restaurant and which nights you’re better off making your own dinner. By the end of your year of travel, you’ll be well-versed in the ins and outs of an effective budget - don’t let those skills go to waste! Put them to work in your professional pursuit by offering to head up a committee dedicated to efficient company spending or making a financial plan to start your own business. If there’s one thing that’s constant in travel it’s that nothing is ever constant. Though planning is important, it’s likely that things have gone awry at some point during your year abroad. You’ll miss details, you’ll experience miscommunication and you might discover an allergy that you knew nothing about. The thing about travel is that you’re in the driver’s seat, so you come out of the experience with the knowledge that you can find a solution to any problem or at least find the right person to help you. That self-reliance and ability to take the next step to resolve an issue is desirable in the professional sphere. No matter what industry you’re in, having great problem solving skills only makes you a greater asset to your company. 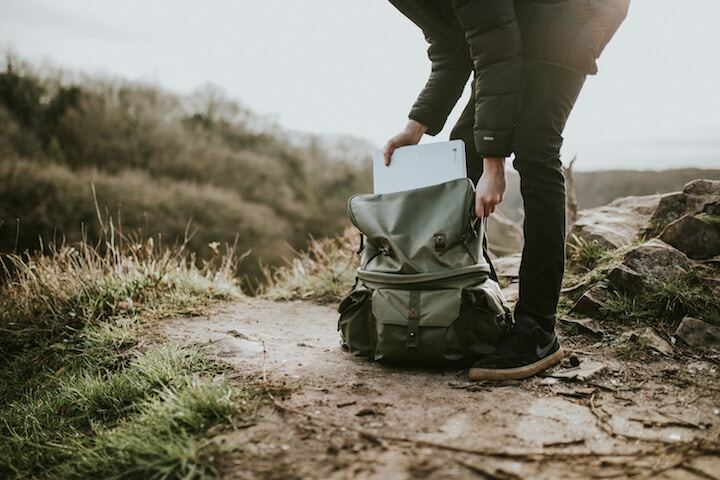 If you want to create a digital presence based off of your travel experience, then it’s likely that you’ll pick up a handful of digital marketing skills along the way. For example, if you start a travel blog, YouTube channel or Instagram account, and see success through your endeavor, you can professionally pitch yourself as a marketer. Things like SEO knowledge, video editing, community building, social media marketing and customer service are all transferable skills that you can gain from your time on the road. It may not feel like you are actively learning these things - your blog is just for fun! - but real-world experience can be even more valuable than what you learn in a classroom. We’ve heard the phrase “communication is key” many times in relation to building successful professional teams, but that concept comes to life when you’re living in a city where you don’t speak the language. First, you’ll learn how to communicate through body language and context clues, then you begin to pick up on key words and phrases in the local language, eventually holding on to enough vocabulary that you can communicate effectively with local people. As a multilingual individual, you will be seen as an asset in a business world that is becoming more globalized by the day, but you will also have the skills that are needed to quickly connect with anyone that you meet regardless of their background. This will make you an excellent networker for your company and a go-to contributor during client meetings and negotiations. In contrast to hard skills which are easily measurable, soft skills are less obvious. They are the types of abilities that allow a person to work harmoniously with others, things like emotional intelligence, organization, motivation, leadership and flexibility. Typically, these skills aren’t something that you could learn from a book or a professor - they’re learnt through years of real-world experience and honed through trial and error. For a company, they are some of the most difficult traits to identify and yet they can make the biggest difference in whether a new employee is a good culture fit. The world is connected now more than ever before, and companies are taking notice as they seek out employees that can adapt to many multicultural environments and sensitivities. As someone who will have traveled the world for a year, you will fit this bill to a tee. You’ll get to know people from many different backgrounds, listening to their stories, diving deep into the history behind the country’s culture and building relationships with people around the world. Your eyes will be opened to the different ways that people live and you’ve developed a distinct empathy that acts as a driving force behind your everyday decisions. Take this skill with you into your professional pursuit and you’re sure to be rewarded. Like we mentioned above, travel doesn’t come without its own set of stresses and worries. Things will go wrong throughout your time on the road. The good news is, it isn’t for nothing. Every time that your plans don’t go just the way that you thought they would, or a wrench is thrown into your day, you level up in stress management. Travel makes you set aside needless worrying and forces you to move on to finding solutions to your problems instead of stewing in them. You will become an action-taker instead of a complainer, and you’ll have your travel experience to thank for that. Your future boss (or your future employees) will know that they can rely on you to lead important projects without fear that you’ll get burnt out or overwhelmed by the task. Travel is not one-size-fits-all. No matter where you visit, you’ll experience the city differently than anyone who has been there before you. You’ll seek out different sites, you’ll sign up for different excursions and adventures and you’ll try restaurants that have never made it on a tourist’s guide. However, the true reason that your visit will be unique is the fact that it has an end date - you have to decide what your priorities are for this one trip and make peace with the fact that it’s impossible to do everything in one go. Each day will hold a new challenge of deciding what you are going to do first: hike a mountain or answer emails? Jump on a client call or head to the ocean for an early morning dip? The choices are endless, but you still have to make them. This translates to the never-ending to-do list that you experience as a professional. Being able to to meet people and form a connection with them is not something that can be taught - it’s something you have to do over and over again until you’re good at it. When you’re thrown into situations where you don’t know anyone, you find ways to open yourself up to them and hope that they do so in return. You learn the right questions to ask if you want the person to tell a story and which stories of your own have the most interest and impact for others. Your time on the road will train you to get out of your own head and be open to truly getting to know someone, not just to figure out what they can do for you. This comes in handy in business where people have a B.S. meter that is well-tuned to tell when someone is has ulterior motives. If you’re genuine, you’ll quickly become the star of your professional networking scene. Even if you’re traveling with a group like you do on a work and travel program, there will be moments when you need to figure things out on your own. You’ll have to break outside of your comfort zone and take a leap of faith, either physically or metaphorically. Before you leave for your year abroad, you may spend time considering the consequences of each and every action that you take, laying out each possibility for failure. When you return, you’ll be much more confident in your abilities. You’ll know that you can solve any problem that you come across. You’ll still consider the consequences, but you’re more likely to take a chance than you were before. This focus on self-reliance will make you stand out in a sea of people who are too afraid to share their ideas or start a new initiative. Nothing will hold you back anymore, and that makes you the type of employee that so many companies are searching for.